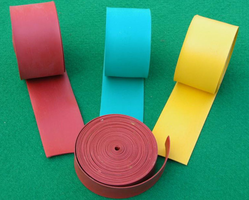 We are a leading Manufacturer of polyolefin shrink film and bus bar sleeve films from New Delhi, India. 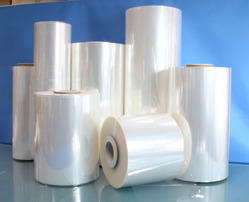 We provide Polyolefin Shrink Film to the clients. High Transparency and Clearance Attract Customers. Food and Beverage Industry, Automobile Parts, Pharmaceutical Products, Toys and Games, Stationery Accessories, Electrical Parts, Spices and Pickles, Lubricating and Vegetable Oils, Pesticides, Sweet Boxes, House Hold Items, Beverages and Water Bottles etc. Enriched with vast domain expertise, we offer world-class range of Bus Bar Sleeve Films that are used for cleaning purposes and delivered in varied sizes and thickness. Our entire range ensures the smooth texture and maintains hygienic standards. We are supported by an advanced quality testing unit that ensures quality measures on varied parameters thereby delivering an exceptional product line.